Please feel free to submit training questions. 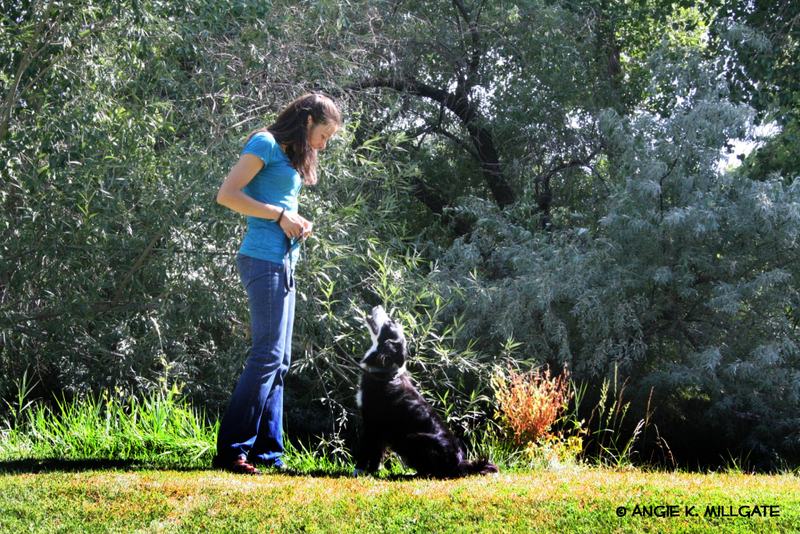 Your question maybe answered in a weekly dog training tip! 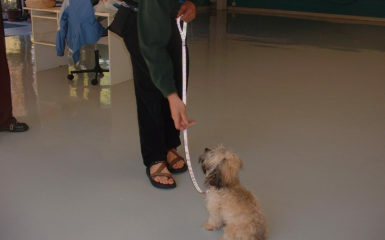 Many people allow their dogs to approach other on leash dogs to meet and greet. If this is done inappropriately then a fight can arise. If it is done appropriately then awesome results are created. A simple example of a fight: I was at Strut Your Mutt today and two dogs said “hello” on leash. In a matter of one second the leashes got tangled and became very short. The two dogs ended up fighting. 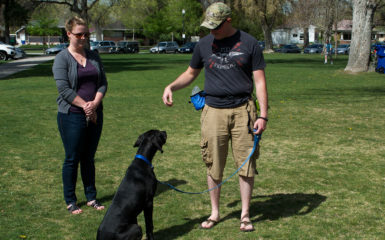 Have your dog sit before saying “hi” to another dog. As a result, he will learn that sitting creates what he wants rather than pulling on the leash. Use a treat to lure your dog into a sit if needed. Keep the leashes loose. Tense leashes result in tense dogs. 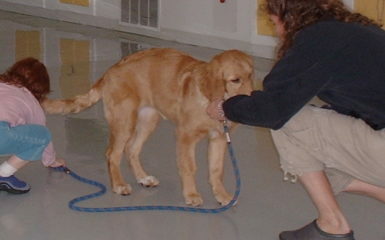 Walk in a circle with your dog and the other dog’s owner should also walk in a circle. This is done if the greeting lasts more than a few seconds. 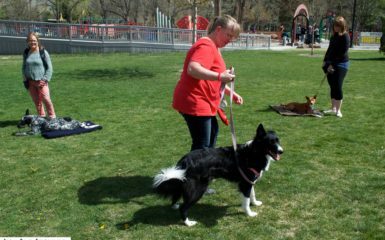 With the owners walking on the outside of the circle and dogs on the inside of the circle it is easy for the dogs to interact without the leashes tangeling.